Discreet mods to give greater flexibility to this fab little amp. Marshall Class 5 control panel. 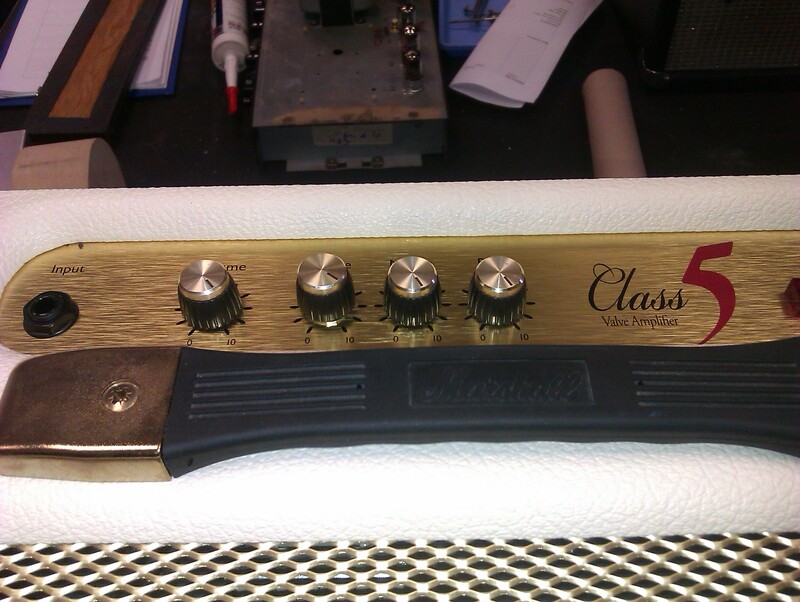 The Tone control has been modified with a push/push switch to give different tonal characters in each position.